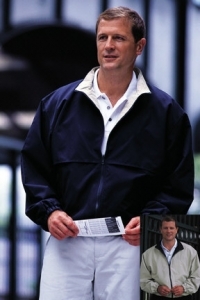 Zippered jacket with stand-up collar. Contrasting colors. Jacket can be reversed. Sizes up to 3XL.